For sustainable development of area coming under Western Odisha by way of the Western Orissa Development Council has been constituted on 11.11.1998 as per WODC Act,1998 and was reconstituted on 5.12.2000 as WODC Act,2000. The scope, power and function of the Council has been spelt out in the WODC Act at section 11. 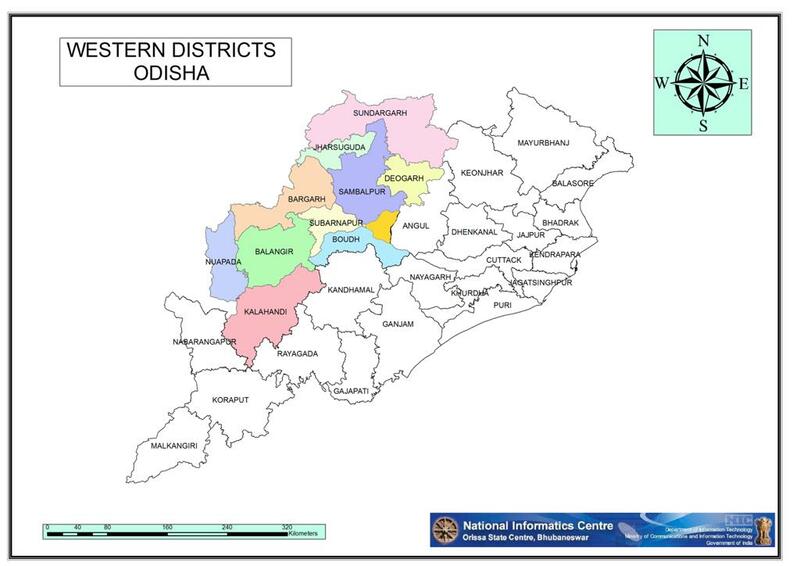 The jurisdiction of WODC extends over 10 districts namely, Bargarh, Bolangir, Boudh, Deogarh, Jharsuguda, Kalahandi, Nuapada, Sambalpur, Sonepur, Sundargarh and one subdivision i.e. Athamallick of Angul District. There are 89 nos. Block in WODC area out of which 34 nos. of Very Backward, 25 nos. of Block Backward, 25 nos. of Block Developing and rest 5 nos. of Block Developed Block as per the PC Ghadai Committee report- 1994. (i) To prepare long and short term development plans & budget. (iii) To assess the impact of development programmes.